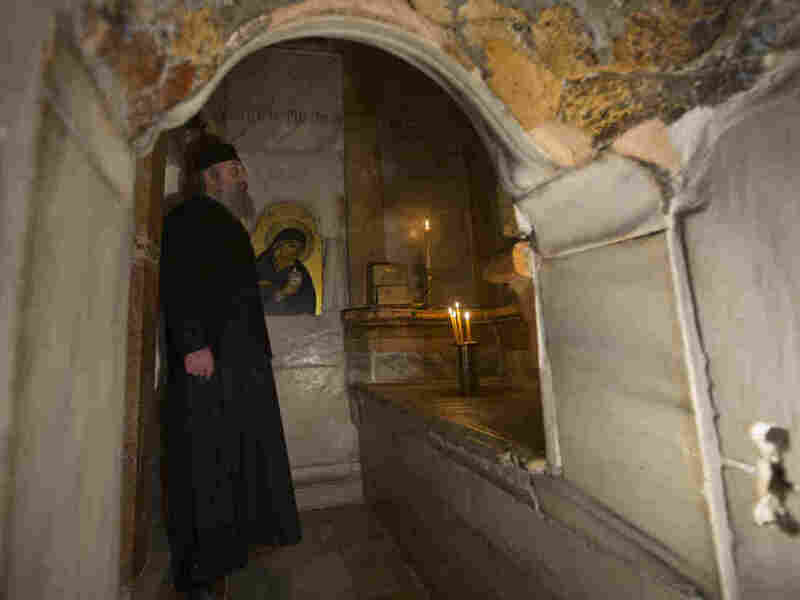 Tomb Of Jesus Is Restored In Jerusalem : Parallels Jesus' tomb has been freshened up in time for Easter. "This monument today is free," said Antonia Moropoulou, who led the Greek team that handled the renovations. The Edicule in Jerusalem's Church of the Holy Sepulchre is traditionally believed to be the site of Jesus' tomb. A $4 million restoration project, led by a Greek team, has cleaned and reinforced the structure. 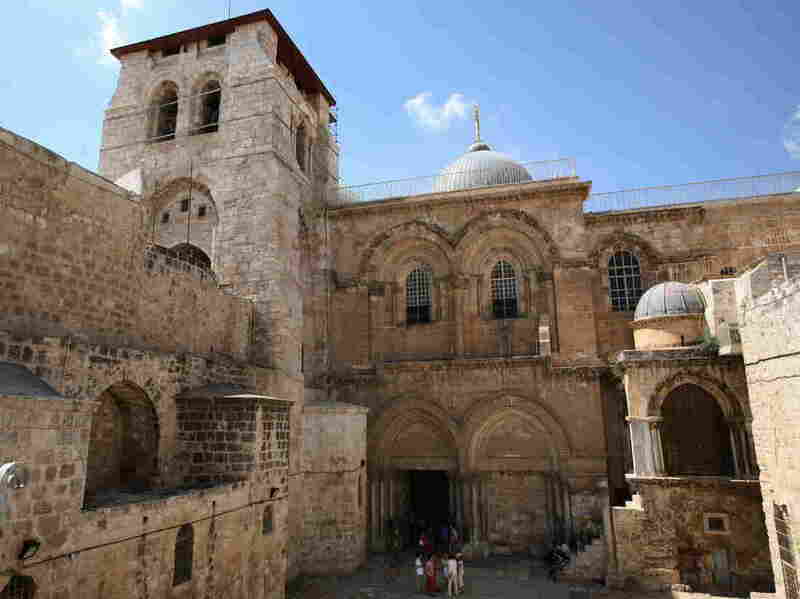 Jerusalem's Church of the Holy Sepulchre, also known as the Basilica of the Resurrection, is home to the Edicule shrine encasing the ancient cave where, according to Roman Catholic and Orthodox Christian belief, Jesus' body was entombed and resurrected. King Abdullah of Jordan and Palestinian President Mahmoud Abbas also donated about $165,000 each for the renovation efforts, she said. "This monument today is free. It is emancipated from the iron grids," said Antonia Moropoulou, who supervised the renovations. 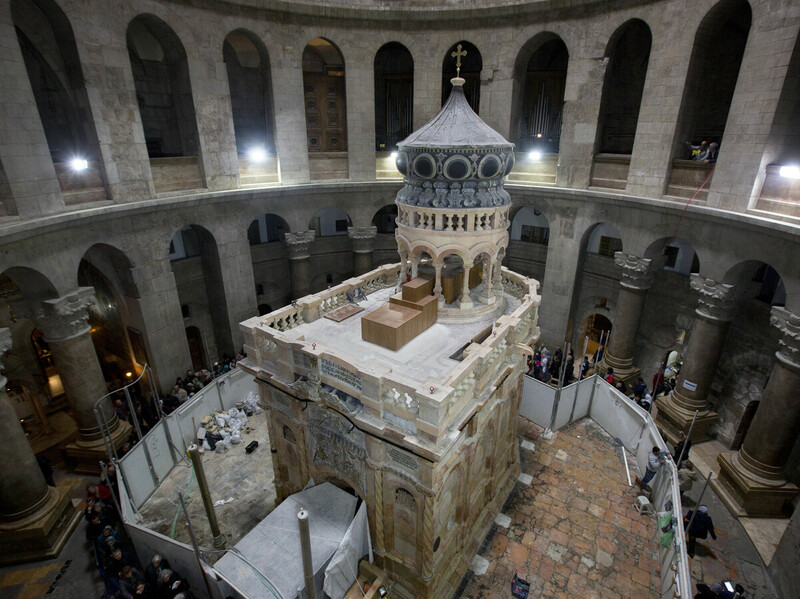 The most dramatic moment of the restoration took place in late October, when Moropoulou's team entered the inner sanctum of the Edicule — which is open to visitors — and slid back layer after marble layer covering the rock-hewn bench where believers say Jesus' body was placed after he died on the cross. A Greek priest stands inside the renovated Edicule in the Church of the Holy Sepulchre on Monday. A previous version of this story misspelled Antonia Moropoulou's last name as Moropolou.